Nintendo's woes about its slow launch of the Wii U system continued into January, while Microsoft is touting its 25th straight month as the top selling console in America. 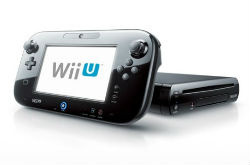 According to reports, Nintendo's Wii U only managed about 57,000 sales in the United States in January, down about 38 percent from the original Wii console at the same point of its life. More than 3 million units have been sold so far, with Nintendo expecting to hit 4 million for the current financial year. Microsoft on the other hand was boasting about its performance in the market. More than 281,000 Xbox 360 consoles were snapped up in the United States in January 2013, compared to 270,000 in January 2012. That marks the 25th straight month that Microsoft topped the charts with the ageing console, which claims about 44 percent of the market. The Xbox 360 drove $338 million in retail spending during the month, between the consoles themselves and accessories. Buy the ticket, take the ride. -H.S.T. But here is nintendo's problems developers are refusing to release good games on the wii u the wii u can handle crisis 3 but they wont release it because they want more money which is stupid if you want more money get off your can and give us what we want your customers are telling you and you are not listening. I considered getting a Wii U for Christmas, but it was too hard to get a 32g unit (stores had plenty of the white 8g units, but I don't like white peripherals). The games situation and my general distrust that the gaming tablet controller is going to be useful/sustainable took away my enthusiasm for the system.